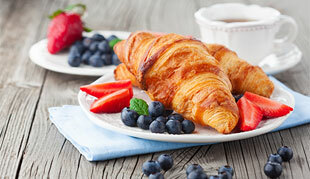 Cosmopolitan Catering understands the needs of your employees and will work directly with you and for you! Full-service kitchens allow an operator to write custom menus for the employee population they serve and have a level of variety that is comprehensive. So many café operators, however, take a cookie-cutter approach to their menu design and service style that the program is unsuccessful before it even begins. 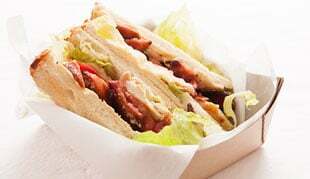 At Cosmopolitan Catering, we believe that a successful corporate dining program starts with the right approach. Our approach is simple – to align our end-goals with those of our clients. The ability to know and understand our client’s goals allow us to custom tailor each program we create. We design our menus and service style around our client’s needs to ensure a positive guest experience from the moment a guest walks into a café until the last bite. Every company’s employee population has unique needs. Our ability to customize menu offerings starts with the way we get to know your people. Our menu development does not begin until we know exactly who we are serving. We take great pride in meeting and exceeding the needs of our guests and we are committed to providing exactly what your employees want. 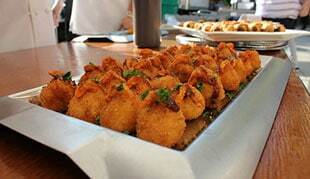 Cosmopolitan Catering provides an experience like no other, and that’s what your employees will come to appreciate. 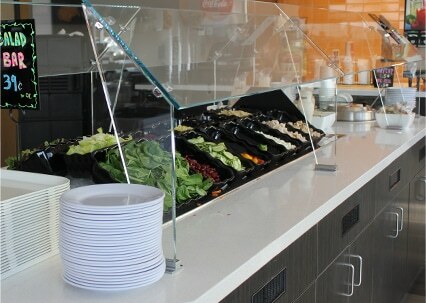 Having a streamlined ordering process allows for easy, healthy food options that everyone will enjoy. 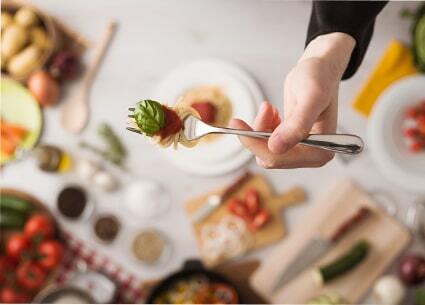 Cosmopolitan Catering has the expertise and experience to evaluate your needs and give you specific recommendations to make your dining program a success. 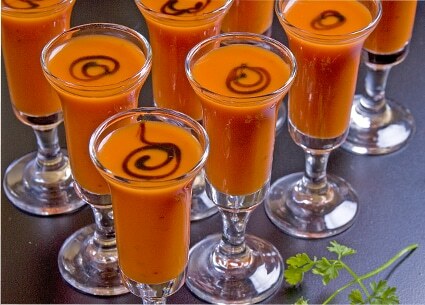 Cosmopolitan Catering continually reviews your program to balance your meal and service objectives. Our goal is simple — reduce costs while enhancing your dining experience. Our management staff is open to ideas and suggestions and regularly coordinates satisfaction surveys to make sure we are meeting our customers’ needs. What is a Virtual Café™? 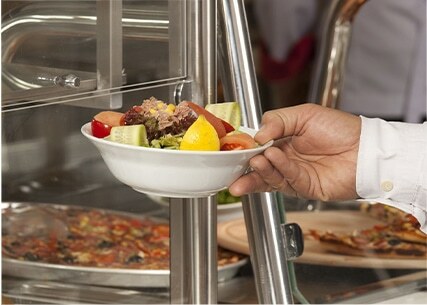 Many companies have found the benefits of offering recurring meal service to their employees though they are looking for more than buffet service in chaffing dishes. 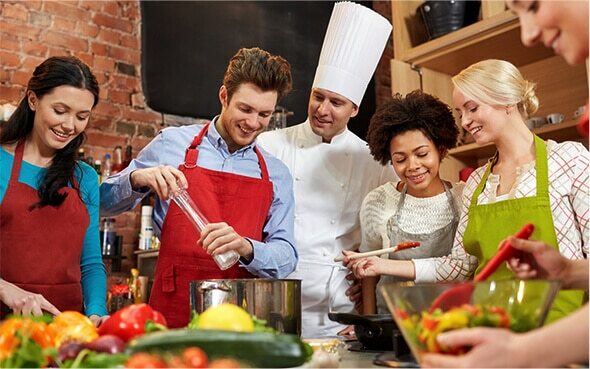 Companies now have the opportunity to offer their employees an enhanced dining experience in a café of their own without the burdens that come along with building a full-service kitchen. We are built for this! By taking advantage of our commissary kitchen, and without the need to prepare or cook food on-site, there is no requirement for the investment of heavy equipment. 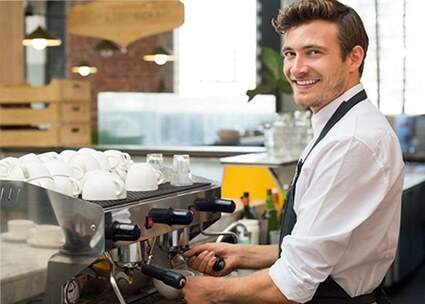 A Virtual Café™ will allow you to provide a great dining experience to your employees and guests with an investment in infrastructure that is a fraction of the cost of a full-service kitchen. With Cosmopolitan Catering, it is possible to create a café environment that delivers high-quality food and comprehensive variety where operational costs are dramatically less than alternatives when trying to provide a comparative service. As with most things, there are a multitude of variables that will control cost. When considering the Virtual Café™ model, the biggest financial factors will be determined by the desired service style, menu offerings, and the potential of future growth. Take advantage of our years of experience to see how a Virtual Café™ can work for your company. We have you covered. The lack of space is no longer a problem when looking to create an in-house dining program to satisfy the needs of your employees. We are able to transform as little as 500 square feet into a manageable corporate café that can feed hundreds of people daily. In fact, let Cosmopolitan Catering help you design your space! We have worked with many companies in the area to turn their underserviced square footage into a fully functioning café. A Cosmopolitan Catering Virtual Café™ will allow your company to provide a comprehensive dining experience to employees where quality, variety, and a high level of customer service will be the standard. 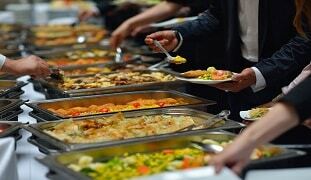 Take advantage of everything Cosmopolitan Catering offers and let us manage the program for you. Like many companies throughout the Bay Area, you will come to appreciate our professionalism, attention to detail, and thoroughness in providing a dining program your employees will value. 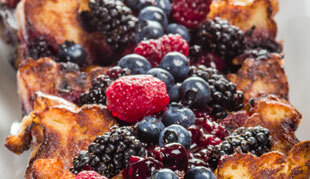 Cosmopolitan Catering can work with you from start to finish. 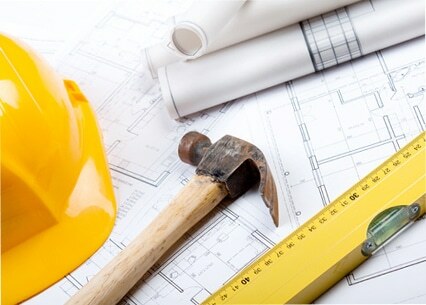 Leverage our expertise and experience from design to build. We will work with you to conceptualize your space, work with architects to design your plans, manage contractors, and obtain all necessary permits. 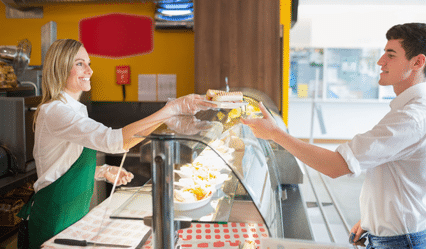 Once the decision has been made to review the benefits and costs associated with an employee food-service program, the next step is to decide on the design of the food-service facility. 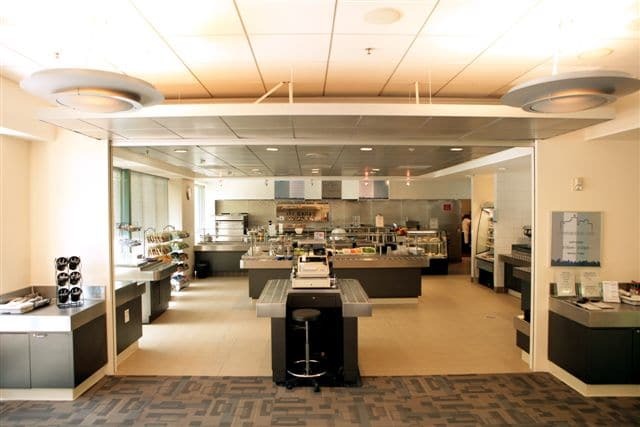 Unfortunately, research shows that most employee food-service facilities are built with little planning and without a clear picture of the final objective. 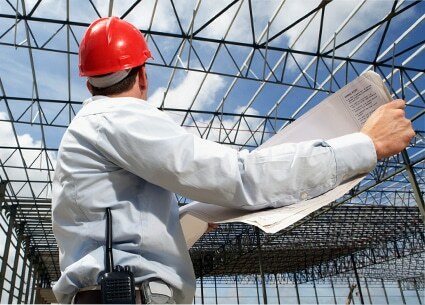 We think a great new facility or the renovation of an existing one must start with a thorough plan based on a clear knowledge of your specific objectives. Understanding that no two companies have the same food-service needs. Thus, no cookie-cutter facility plan will be used. We then work closely with you to get a firm understanding of the final operating budget with any and all limitations. All local health codes and design standards are strictly followed, while keeping in mind the possibility of future additions. 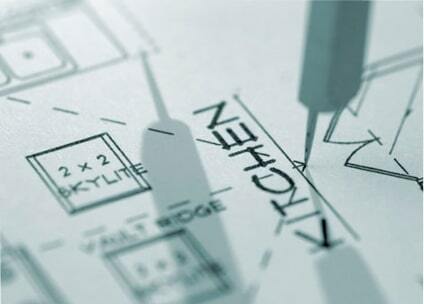 We then work closely with architects to take your concepts to design to suit the needs of your company. 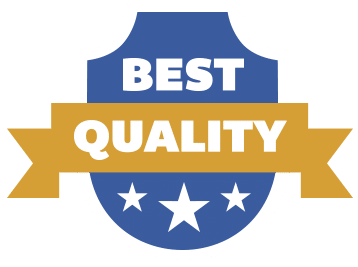 We will work on your behalf to acquire all necessary equipment and décor because we are not affiliated with any one manufacturer we can advise with no partiality. Last, we will provide complete operational analysis whether we are your chosen café operator or not! Our goal is to build a working relationship based on trust in our expertise and it starts with you knowing that your end goals will be our end goals as well. Seeing is believing. 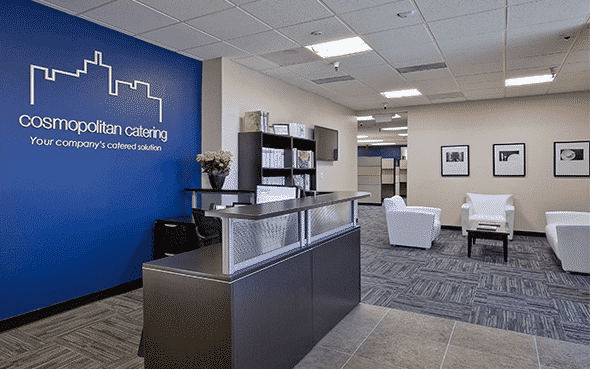 Contact Cosmopolitan Catering to schedule a café tour and see how we have been able to help so many companies throughout the Bay Area take their dining program to the next level. 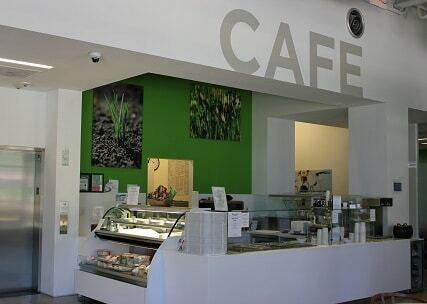 Experience our cafés from the perspective of a guest, see the variety, enjoy the customer service, and taste the food. 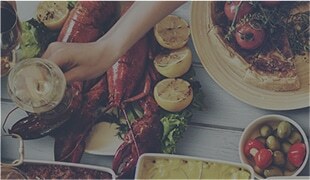 Learn how your company can take advantage of Cosmopolitan Catering’s industry expertize. Cosmopolitan Catering’s clients realize that working with us is different from their first phone call or meeting with us. Our approach is unique, as we do not offer cookie-cutter solutions. We take the time to understand our client’s wants, needs, limitations, and expectations and create multiple solutions that allow for choices and options. 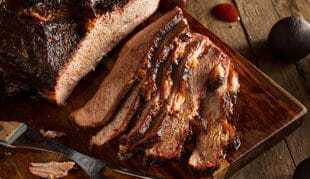 What you can expect from Cosmopolitan Catering is a consultative, knowledgeable, industry leader that will work alongside of you every step of the way. We pride ourselves in being masters of our trade and only realize success in achieving our client’s goals. 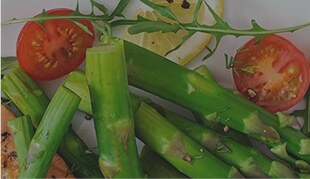 We are driven and motivated to become known as the best option when it comes to designing your company’s food-service program. We know that our success is dependent on the satisfaction of the companies we serve. This is a concept that is reiterated daily within our organization. This is why we align our own goals with those of our partners. Our professional goals are only achieved by fulfilling your end-goals. This becomes our reason for doing everything we do, and an easy explanation for why we have experienced the successes we have.